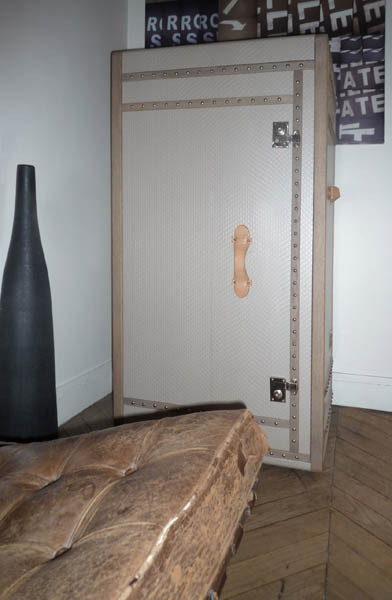 Vintage furniture collection from Les Valises is designed by Emmanuelle Legavre and available from EL Paris. Her functional and modern furniture design ideas are inspired by trunks and old suitcases, and offer attractive ad interesting retro decor items for adding unique charm and character to home interiors. The vintage furniture collection from French designer Emmanuelle Legavre looks romantic and interesting. Modern furniture design brings the chic of expensive luggage trunks and suitcases of wealthy travellers into modern home interiors, creating glamorous atmosphere of last century voyages. These items create an unusual collection of furniture for storage, offering coffee tables, console tables and wardrobes with drawers that look like trunks ad old suitcases in neutral creamy white, beige and light gray colors. Les Valises furniture collection is a new look at storage solutions. Modern furniture offers unexpected and comfortable storage ideas and impressive items for retro decor. Modern retro decor is one of interior trends that create unique and very personal home interiors. 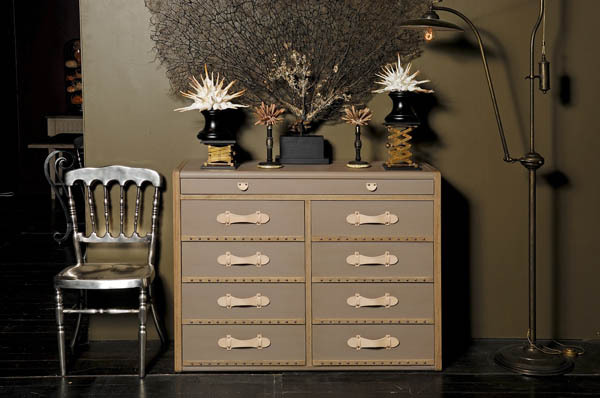 The collection of storage furniture from the French designer has a soul and adds a character to home decorating. Practical and convenient storage furniture design will look good in any room, matching any home decorating color palette and bringing a retro decor flavor into modern home interiors. Pleasant pastel color shades and striped fabric patterns make beautiful furniture and decor accessories for stylish retro decor. Neutral colors and familiar shapes create a soft and friendly atmosphere, making living room or bedroom decor feel cozy. Storage furniture items from EL Paris, www.el-paris.com/ are inspired by travellers trunks and old suitcases and can be placed in hallways and bedrooms, living rooms or home libraries and offices, creating magnificent retro decor accents and adding comfort and functionality to modern home decorating ideas.